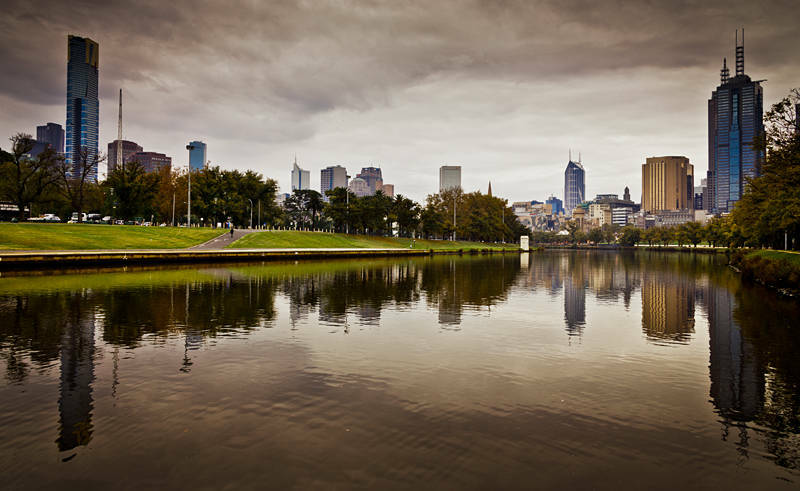 This is the Yarra River as it flows north-west towards central Melbourne. It is 242km long and its surrounding area is believed to have been inhabited by Indigenous Australians for at least 30,000 years. How fast was that shot? The river has a glass like look to it. It was 1/125 second. If you click exif on the top right of the image it gives you all the camera settings. Was it hand held because it looks as if the windows on the buildings are not as crisp as you normally get them? Yes it was hand held.